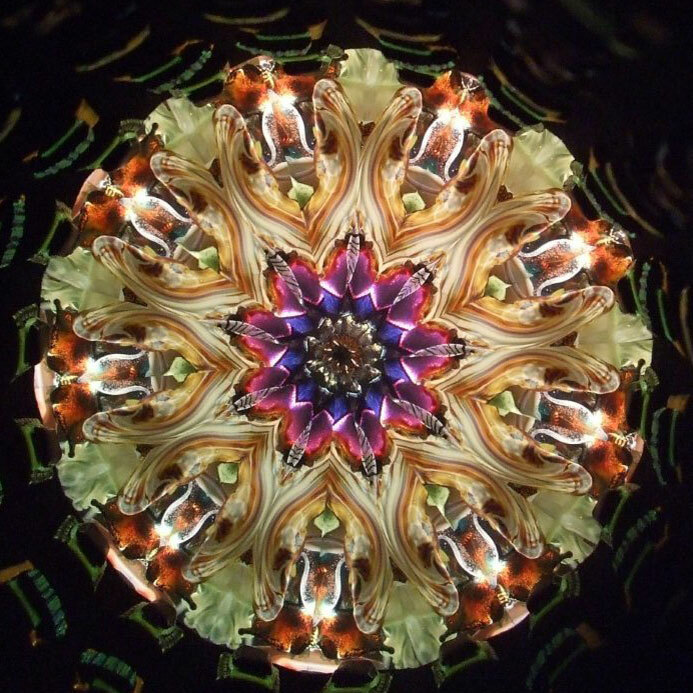 Peggy & Steve Kittelson have been creating fine handcrafted kaleidoscopes since 1986. Their goal was to create unique and distinctive scopes that are beautiful to look at and pleasing to touch and hold. They have achieved this goal by incorporating many facets of their glass craftsmanship. They are known for their classic 2-mirror kaleidoscope imagery, and the highest quality optical illusions defined by the incredible display of miniature glass sculptures found in the object chambers. The exteriors of their scopes are of fused and slumped glass combined with finely machined metal turningends, and the wood scopes are hand-turned by Steve. Please click above logo to visit the Brewster Society site! "We thank you for visiting our site and hope you enjoy our designs. Your questions and comments are always welcomed. We look forward to hearing from you." Visit our Image page to view a sample of some of our beautiful images.